Fujifilm has announced its new toughest compact, the FinePix XP80. 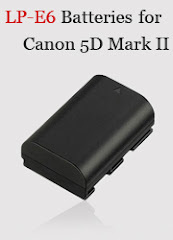 The camera boasts a 16.4MP BSI CMOS sensor, a 5x optical zoom lens with optical IS, built-in flash, Full HD 1080/60p movie recording capability, a dedicated button for continuous shooting at up to 10fps, 11 creative filters, and Wi-Fi connectivity. The XP80 is waterproof to 50ft, freezeproof to 14 degrees F, shockproof to 5.8ft as well as dustproof. The camera will ship in March for $229.95. 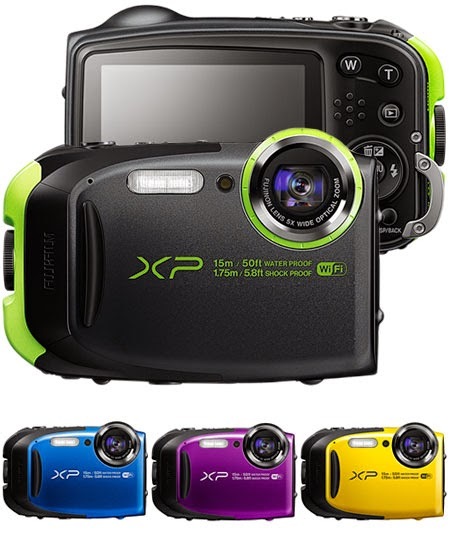 For the complete list of accessories, please see Fujifilm FinePix XP80 accessories. FUJIFILM Corporation (President: Shigehiro Nakajima) is delighted to announce the arrival of the new FinePix XP80, which enables all-action photographers to take great pictures and movies before sharing them instantly. The 16.4 megapixel waterproof, shockproof, freezeproof and dustproof compact features wireless connectivity for simple sharing and remote shooting with a smartphone or tablet along with a host of powerful picture taking features. Ideal for snowboarding, skiing, mountain biking and other outdoor leisure activities, the FinePix XP80 complies with IP68 standards*. This means it is waterproof to 50ft/15 metres, can withstand a drop of up to 5.8ft/1.75m**, will still operate in temperatures as low as 14°F/-10°C and is dustproof to prevent dust or sand ingress. Further protection from the elements is offered by the double-lock mechanism on the battery/memory card compartment that prevents accidental opening, plus there's a front grip and thumb rest for assured handling. The FinePix XP80 comes equipped with wireless functionality for remote shooting. Just download and install the Fujifilm Camera Remote app, then press the dedicated Wi-Fi button on the camera and users can make the most of wireless LAN communication with the camera, not only shooting remotely from a device, but also zooming in or out to fine-tune compositions and shoot movies, too. In addition to remote shooting, wireless connectivity in the XP80 also allows users to select images or movies*** to be transferred to a smartphone, tablet*4, or PC. Given that the FinePix XP80 is likely to be used in bright, sunny conditions as well as inclement weather, an anti-reflection coating is applied to the rear LCD so it's still easy to view or compose images on the beach or in snow. The LCD monitor also has an auto brightness function that adjusts according to the ambient light levels. Outdoor activities don't need to be limited to still image capture with the XP80, which offers a raft of movie capture functions, including a new Action Camera Mode. Available with the optional Action Camera Lens, which turns the XP80's lens into a fixed 18mm*5, the mode enables hands-free shooting so the camera can be mounted on your body or a piece of sporting equipment to get right to the heart of the action. In Action Camera Mode, the rear LCD turns off automatically for extended recording times. For more conventional videos, the XP80 offers Full HD movie capture (1920 × 1080), plus it has Scene Recognition for optimum settings and Advanced Filters to create eye-catching effects. Wind noise - often a problem with outdoor movie recording - is reduced thanks to the Wind Filter setting. Recording the movies themselves is simple thanks to the dedicated movie button and there are even some in-camera editing functions, including Movie Trimming for removal of unwanted sections and Movie Join which combines separate movies into one file. The XP80 offers a 5x optical zoom lens that includes a 28mm*5 wide-angle setting for sweeping landscape and scenic shots. The optical zoom range can be doubled to 10x with Fujifilm's Intelligent Digital Zoom technology, while the camera's Optical Image Stabilization function ensures that any effects from camera shake are minimized. The XP80 boasts a 1/2.3-inch 16.4 megapixel BSI CMOS sensor for impressive results in a wide range of conditions. Coupled with a powerful processor, the camera delivers high quality images with a rapid performance, capturing images at up to 10.0 fps at full resolution and an incredible 60 fps at reduced resolution (2MP). Users wanting to take advantage of these blistering speeds can do so quickly and easily thanks to the dedicated continuous shooting button on the back of the camera. Plus there's an Interval Shooting function which automatically fires the shutter at regular intervals defined by the user. Further picture-taking versatility is offered by the Scene Recognition mode that rapidly determines the scene being captured before optimizing focus, exposure and shutter speed for the best possible result. Underwater and underwater macro functions are also available to underline the XP80's all-action credentials. Further creativity is offered by 11 Advanced Filter functions (see list below), while multi-frame processing is used to capture two or more shots for a High Dynamic Range (HDR) image that preserves detail in both shadows and highlights. Finally, the Motion Panorama 360° function offers the chance to capture superb panoramic shots at the touch of a button. ** Measurement method of MIL-Standard 810F Method5 16.5-Shock of the “MIL Standard”, a standard stipulating the durability of supplies procured by the American military, set by the United States Department of Defence, is used. *** Some movie files that cannot be played on smartphones cannot be saved with the iOS version of the “FUJIFILM Camera Remote”. Please try with the movie mode with a size smaller than HD (1280 × 720).